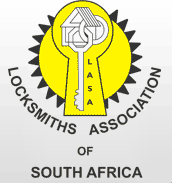 Austen Security Services boasts registered and accredited in-house Locksmiths as well as appointed regional Locksmiths. Our Locksmiths are available for repairing or replacing locks and also changing combination locks. Nationwide repair and servicing of our entire range and the majority of other product ranges, available at your doorstep. Austen Security ServicesÂ hold exclusive agencies for imported high security locks and cam locks used in high risk situations such as banks, casinos and jewellery outlets. Austen Services has a cell lock manufacturing plant in Pretoria. 4 and 6 lever â€“ double or single sided lock body to suit both locks. C type is fitted together with the lock box for all types of cell doors or grille gates. Specially designed types or lock series can be made up for your requirements with 180 combinations available. Austen Security Locksmiths, emergency response to all lock-outs, specialising in safe opening and technical support to Austen Security Safes. We haveÂ multipleÂ branches throughout South Africa ensuring that all safes and specialist â€œphysical securityâ€ products are always maintained and 24 hour after sales service is always provided. At Austen we understand the value of safes that have become heirlooms, having passed from generation to generation. This journey often results in wear and tear and our refurbishing team is on hand to restore your prized safe and return it in showroom condition! We can also modify your safe to meet your requirements.